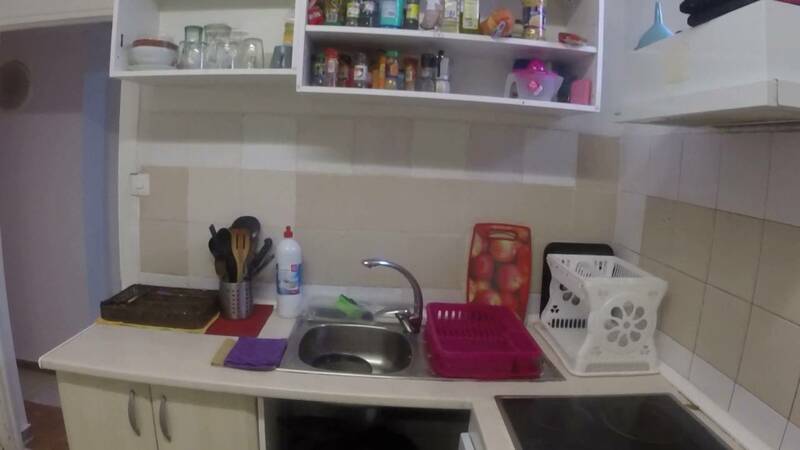 This 140 m², 10-bedroom house has multiple rooms for rent - perfect for couples and students. The bedrooms come with different amenities, some with a private bathroom or shower and others with AC. The common areas are located in the basement, where you find a spacious living room and kitchen. There are 2 full bathrooms to share. The large and cozy house is located in the residential neighborhood of Guindalera in Barrio de Salamanca. The property is a great option for students due to its proximity to the IE Business School campus. If you are interested in immersing yourself in Spanish culture, you can just walk over to the Las Ventas Bull Ring. There is a metro stop about 5 minutes from the house. Bedroom 9 - Double bed. The house is a very cozy property that receives a lot of natural light. Some of the bedrooms come with AC or a private bathroom. Bedroom 8 has its own private shower, located in the bedroom. The living room is fully furnished with a couch, coffee table, dining table, shelving, chest of drawers, 2 refrigerators, and a flat-screen TV. The kitchen is fully equipped with a microwave, electric stove, oven, 2 washing machines, 1 dryer, and a refrigerator. There are 2 renovated and elegant bathrooms to share. The house has a lot of stairs. Some of the bedrooms are located in the basement, but they are near the living room. The bedroom numbers go up to 18, even though there are 10 bedrooms in the house. This is because the landlord numbers them using an adjacent house also.